All of the video was shot in 1080p HD and will play on any computer or home DVD player. "My name is Carla Reale. 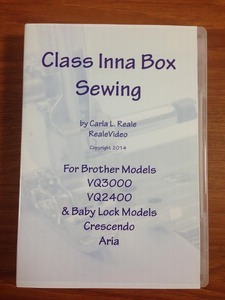 I have been an educator and technician on the Brother and Babylock sewing embroidery machines since they came out on the market. I have created a set of DVD's. You can take the class in the comfort of your own home, at your own pace - you can just replay it to review.